CHARLOTTE, NC – October 5, 2016 – SQL Sentry, LLC, the developer of award-winning software for SQL Server performance monitoring and optimization, is pleased to announce that they have rebranded the company as SentryOne, and unified their product offerings into focused solutions for Microsoft database, virtualization, and cloud technologies. The change reflects the ever-growing need for better tools to help Microsoft professionals view and respond to performance indicators across the entire data platform. "SQL Sentry started with a simple idea: Make Microsoft SQL Server operate as efficiently as possible. 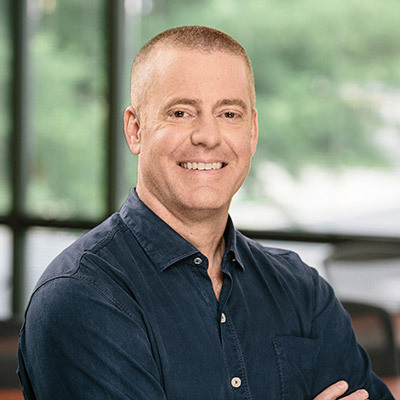 Over the years, we have helped thousands of companies monitor, diagnose, and optimize their SQL Servers, and that won’t change," said Greg Gonzalez, CEO, SentryOne. "However, the ecosystems within which we operate have changed. With virtualization and cloud technologies, environments are more complex than ever before, with many new layers to impact performance. SentryOne better reflects our ability to help our customers make sense of it all through unified solutions for SQL Server, Hyper-V, VMware, Azure services, and more." Starting today, SentryOne will offer the following solutions that work with their unified platform: SQL Sentry (SQL Server), Win Sentry (Windows/Hyper-V), BI Sentry (Analysis Services), V Sentry (VMware), DB Sentry and DW Sentry (Azure SQL Database and Data Warehouse), and APS Sentry (Microsoft APS). "The image of a frustrated data pro shuffling through a virtual junk drawer of software tools to solve a difficult performance problem is one that keeps us up at night. With the new SentryOne platform and solutions, our customers will know that they always have everything they need to effectively optimize their database systems in a consistent manner. This change reflects our ongoing commitment to provide complete solutions that improve business performance for our customers, and quality of life for our users," added Jason Hall, Director of Product Management. SentryOne empowers Microsoft data professionals to monitor, diagnose, and optimize performance across physical, virtual, and cloud resources. The SentryOne platform delivers seamless integration for all of our solutions, enabling users to determine the true cause of performance issues, and reduce consumption and infrastructure costs. Our highly regarded team, which includes 6 Microsoft MVPs, continually strives to find new and innovative ways to address the toughest performance challenges across the Microsoft Data Platform. Over the years, this has led to multiple ground-breaking capabilities for optimizing SQL Server performance, including our popular free query tuning tool, Plan Explorer. The team is always working to spread their deep and diverse knowledge through our team blog at blogs.sentryone.com, and our community blog and query plan-sharing site at www.sqlperformance.com. SentryOne better reflects our ability to help our customers make sense of it all through unified solutions for SQL Server, Hyper-V, VMware, Azure services, and more.